Rolling Audio DJ’s are Professional Entertainers. We provide an exclusive service to local and international visitors, with cutting edge technology of sound and lighting that will compliment any decor. Our services are versatile and we can handle any last minute adjustments. As fulltime DJ’s we have the time to customise your wedding program. With our vast experience we will create a festive mood with a personal touch, which take your wedding from ordinary to extra-ordinary, turning your dreams into reality. Purveyor of uplifting, vibrant music. Smooth, charming, charismatic and fun! DJ Frenchie will help you feel right at home. 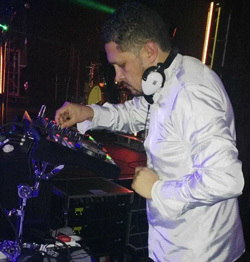 Mike was born in Cape Town and started out as a DJ at house parties and intimate weddings. 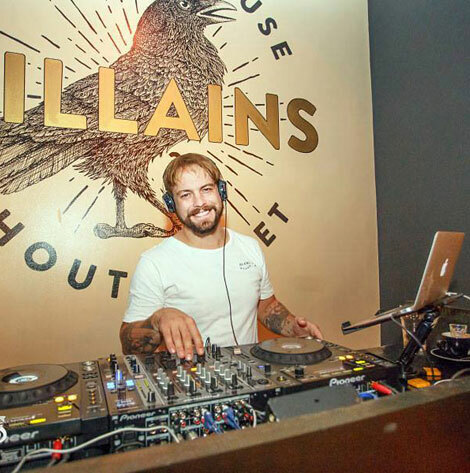 When he isn’t producing or searching for new tunes, He is out mixing bands and spinning the decks at the best venues in Cape Town. 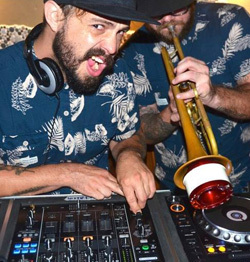 His passion for getting his guests jumping to the beat combined with his love of a wide variety of music allowed him to create a uniquely fun and feel good atmosphere. 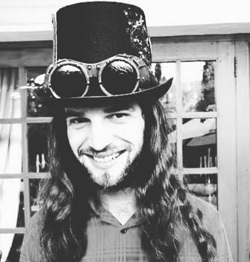 Mike then went on to study sound engineering and has since had the chance to mix some of SA top bands. 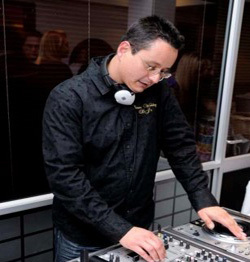 Mike’s DJ and engineering knowledge has seen him mix and DJ at 50+ weddings throughout the Western Cape. With his professional skills and magnetic personality, he can interact with guests as if he has known them for years, always happy to find their requests and adapt to the crowd. Mike takes pride in the attention he gives to each event he is booked for; welcoming a site meeting before hand, and liaising closely with the organisers/clients to make sure all their favourite music is added to his repertoire, so that when the night comes, the client can sit back and relaxing knowing that Sound Man Mike has got them sorted. 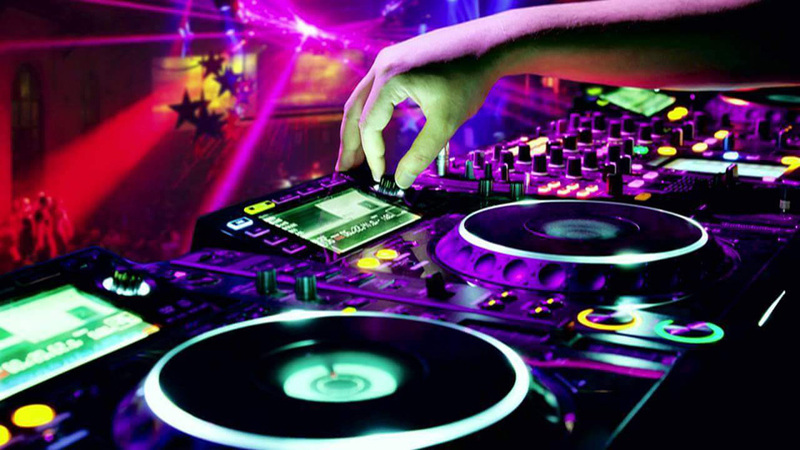 DJ Rean has been Sound Engineering and Deejaying for more than 30 years and has done all kinds of events. With Radio Discotheque & Marshall Music, his experience took its grounding with the sales and product knowledge giving him the edge in familiarizing himself with different types of gear (PA, Studio and lighting). This industry hones one to developing strong computer knowledge, technical troubleshooting, organizational abilities, people skills, and business experience. He regularly had to tie up and put together neat packages that pleased "the back end" (Reps, Performers, Workgroups, Artiste, Caterers, Sponsors, Promo people, Media (Radio & TV), Advertising, etc.) as well as "the front end" (The Audience / Patrons and most importantly, the Client). “Results” always will be the name of the game, and meeting them is the only goal. He can supply the gear and the team for your next event and ensure that the setup and strike is sorted out without incident which will free you up to concentrate on the rest of the party / event. Trendy. Fresh. Fun. Unique. Awesome. Energetic. Exciting. are only a few words to describe this new addition.